Gibraltar has been under Moorish, Spanish, Joint Dutch and British, and British Rule at various times. Since 1704 it has been under British rule, which has been disputed continually by adjoining Spain. In 1967 the inhabitants voted by 12,138 votes to 44 votes to remain under British rule. It has issued its own coins since 1802. 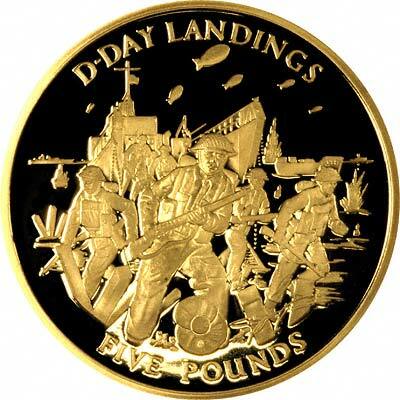 Despite this, it only issued its first gold coins in about 1989. 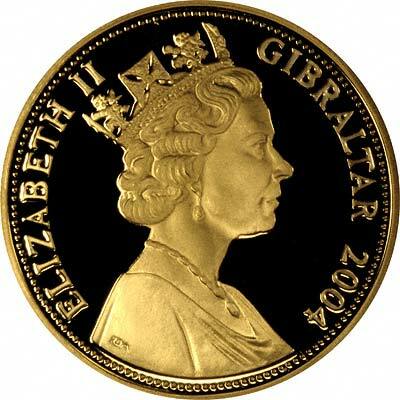 This page is our index page for Gibraltar gold coins on this website. 250th Anniversary of the Introduction of British Sterling Currency, 3 Coin Set. An attractive coin in a similar size to a British double sovereign. 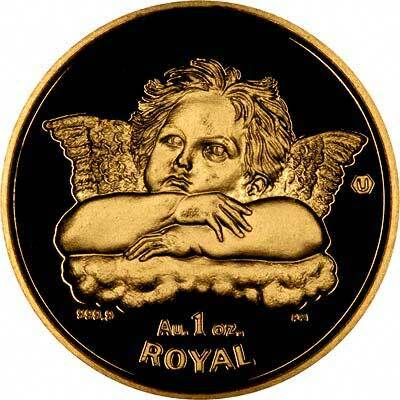 One of the world's smallest gold coins. We would prefer the largest ones! An excellent example of how not to invest in gimmicky gold coins. With embedded gemstones, diamond, emerald, ruby and sapphire. With Princess Diana at Prince William's Christening.